We at Ivy Publications and Charlottesville Wine & Country Living would like to extend our deepest condolences to the Horton family for the passing of Horton Vineyards’ founder and winemaker Dennis Horton. We’d also like to express how thankful we are for his influence in the growth of our local wine country. Dennis’ journey as a winemaker began back in the 1980s after he and his wife, Sharon, moved to Madison, Virginia. Dennis saw the great potential in the area for growing grapes, which ultimately led to the planting of his family’s first vines in their front yard. While he cultivated a small home vineyard, Dennis continued to study different grape varieties and growing techniques. His search took him to France’s Rhone Valley and California, where he and his wife Sharon learned more about the Viognier grape, which Horton Vineyards is recognized for bringing to the Commonwealth. In 1988, Dennis and his business partner, Joan Bieda, acquired 55 acres in Gordonsville, Virginia. Using the open lyre system they learned in California, Dennis and Sharon established what is now Horton Vineyards on the new acreage and harvested their first crop in 1991. In 1992, the couple began constructing an underground cellar, and then in 1993, they celebrated the first crush at Horton. That same year, Horton gained national recognition for producing a superb Viognier that won first place at a California tasting competition. In 1994, the couple purchased more acreage and began planting Bordeaux, Portuguese and Spanish varietals, as well as more varietals from the Rhone Valley many of which were rare, if not new, for Virginia growers. 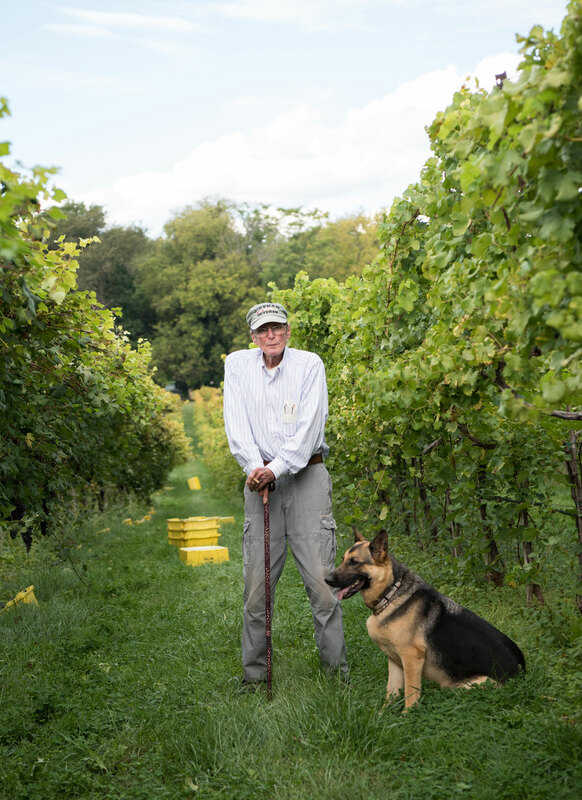 In 2011, Dennis was awarded the Gordon W. Murchie Lifetime Achievement Award; and today, Horton Vineyards produces 42 wines, farms 100 acres and is celebrated as a great influencer in the Virginia wine industry, having also reintroduced Norton grapes to the area. Below, Dennis oversees his last harvest, which he had faithfully done every year since the establishment of Horton Vineyards. Dennis passed away at the age of 72 and is survived by family members who will continue the legacy of Horton Vineyards. 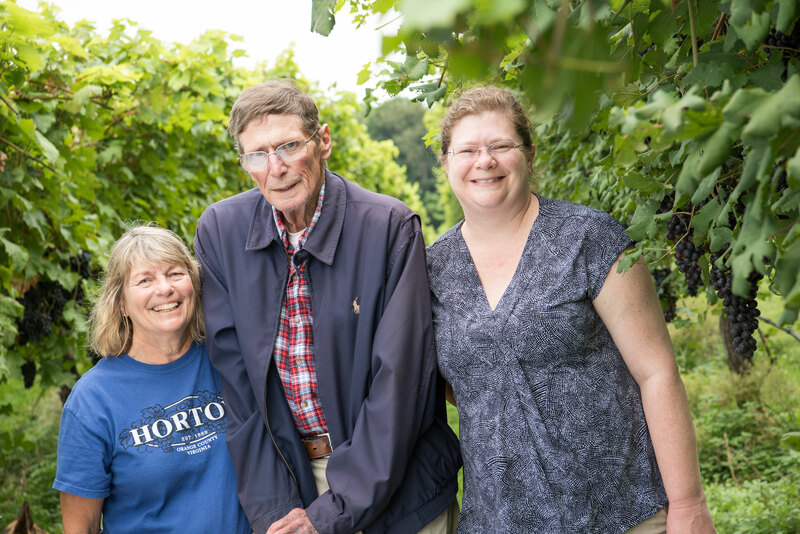 Still a family-owned and operated vineyard, Dennis’ wife Sharon, their daughter Shannon, and granddaughter Caitlin will continue to build on Dennis’ success at Horton for years to come. We are so grateful for Dennis’ pioneering work and passion for winemaking. His larger than life presence and fierce love for the wine industry will be greatly missed.